Something that occurs in Michigan often during the winter is frozen pipes. Due to a chilly winter from lake effect and being a northern state, there are issues that you have to deal with that other Americans do not, especially in the winter. One of those issues is freezing pipes. If you let your pipes freeze, then you could be dealing with water damage and burst pipes. Burst pipes are very common; however, they are very costly — easily $5,000 or more. Additionally, if your pipes freeze in areas through your home such as the attic, garage, and the basement, it can run through to the cabinets and other areas through your home and risk damaging several regions of your residence. To avoid this situation or if you are experiencing water damage, then contact Foundation Solutions 360 for home repair. We provide basement waterproofing, crawl space repair, and foundation repair. As the temperature begins to drop, start taking the precautions to make sure that your pipes don’t freeze. To help you achieve a house that’s warm and cozy with well working pipes, we supplied some tips. If you don’t take the necessary steps to ensure that your pipes don’t freeze, then you could be faced with home repairs that are costly as well as burst pipes. Burst pipes can be a much bigger nuisance, so it’s best to learn how to prevent the situation before it starts with these tips. The first tip is to keep the faucet dripping to serve as an exposed pipe. When the weather says that temperatures will be dropping and you’re afraid of your pipes becoming frozen, then making sure there’s a drip coming from your faucet will prevent the pipes from freezing and inevitably bursting. Opening the pipes will relieve the pressure on the pipes, which is what you want when combating frozen pipes. Since water expands when it freezes, opening the flow will cut down on the chance that your pipes can burst. Having even just a trickle of water will help to prevent any frozen pipes. Our next tip is to open the kitchen and bathroom cabinets while also turning up the heat. Don’t forget to be careful of them and to not trip over the cabinets! While it’s important that you’re careful in the bathroom and kitchen to avoid tripping, this tip will keep your pipes warm. Opening your bathroom and kitchen cabinets will allow the air to circulate and warm up even the hard to reach areas around the pipes. If you have elderly people in your home or small children, make sure that the chemical cleaners are away and everyone knows that the cabinets are open to avoid causing an accident. Opening the cabinet doors will allow the air to surround the area to prevent freezing. Another tip is to keep the thermostat at the same temperature. It’s important that during the day or the night that you need the thermostat in your home the exact same. This will help to keep the pipes from freezing. Whether there’s a cold front moving in and you’re afraid of your pipes freezing or your pipes have been especially finicky, keeping your home at the same temperature will ensure that your pipes stay warm and frozen-free. The fourth tip is about checking the water supply lines. The water supply lines will be a little more difficult to find if there’s snow on the ground, so it’s best to try before there’s a snowfall. You’ll want to know where the water supply lines are in the unheated areas since those can be the most susceptible to freezing and subsequently bursting. You’ll want to check around the crawl space, the basement, attic, garage, and under the cabinets in the bathroom and the kitchen. You should know that the water pipes in those areas should be well insulated no matter if they are hot or cold. Speaking on insulation, this is a great long-term solution if you want to keep your pipes working efficiently. Adding insulation to the basement, crawl spaces, and attic can protect your home from water damage and any burst pipes. An insulated home will keep the areas warmer and will prevent drafts, seal cracks, and sill plates throughout the windows and the doors. Insulation can also cut down on your energy bill. 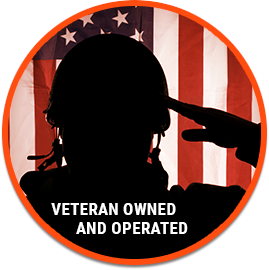 As a veteran owned and operated business, we strive to make your life a little easier. We do this by offering services that will keep your home safe and sturdy. These tips will help you keep your home free of frozen pipes and any water damage that may occur due to burst pipes. For any home repair issues, make sure to call Foundation Solutions 360.